The state of New York is rife with ghosts and other spirits, at least according to this video tour of some of the state's most haunted sites. The supernatural tour starts at the abandoned Split Rock Quarry in Syracuse, the site of a terrible explosion at a TNT factory. 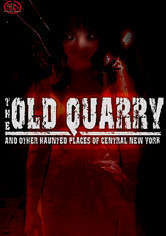 It moves on to two spooky castles in central New York and culminates at Fort Ontario (on the shores of Lake Ontario), which boasts two centuries' worth of documented ghost stories.